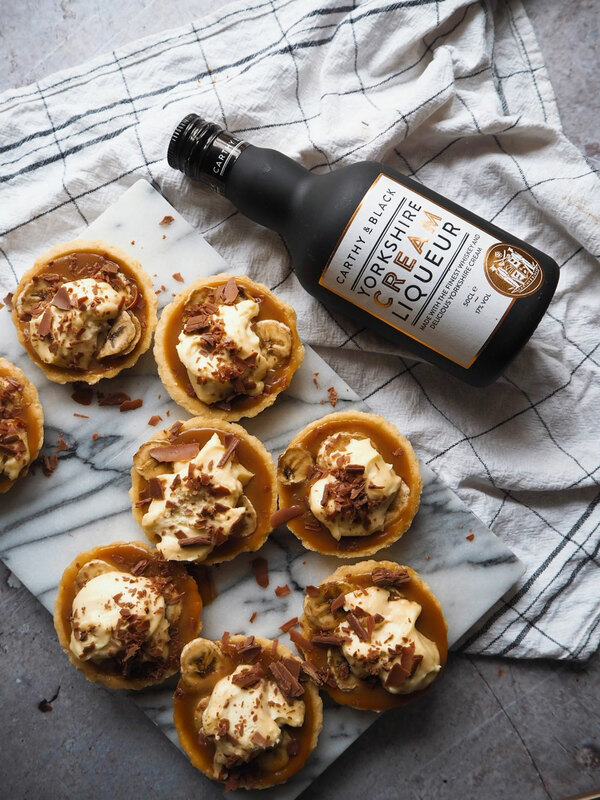 1Mix Carthy and Black Yorkshire Cream Liqueur with the Caramel Sauce and fill the tartlet cases. 2Add three or four slices of banana to the top of the caramel. 3Whisk the double cream into stiff peaks and place on top of the tartlets. 4Crumple the Galaxy Bars on top and chill in the fridge before serving. 5Best enjoyed beside a large glass of Carthy and Black Yorkshire Cream Liqueur.